Another big group of dolphins had just surfaced alongside our moving vessel —leaping and splashing and calling mysteriously back and forth in their squeally, whistly way, with many babies swift alongside their mothers. And this time, confined to just the surface of such deep and lovely lives, I was becoming unsatisfied. I wanted to know what they were experiencing, and why to us they feel so compelling and so—close. This time I allowed myself to ask them the question that for a scientist is forbidden fruit: Who are you? Scientists usually steer firmly from questions about the inner lives of animals. Surely they have inner lives of some sort. But like a child who is admonished that what they really want to ask is impolite, a young scientist is taught that the animal mind—if there is such—is unknowable. Permissible questions are “it” questions: about where it lives, what it eats, what it does when danger threatens, how it breeds. But always forbidden—always forbidden—is the one question that might open the door to the interior: Who? There are good reasons to avoid so fraught an inquiry and the cans of worms such a door could open. But the barrier between humans and animals is artificial, because humans are animals. And now, watching these dolphins, I was tired of being so artificially polite; I wanted more intimacy. I felt time slipping for both of us, and I did not want to risk having to say good-bye and realizing that I’d never really said hello. During the cruise I’d been reading about elephants, and elephant minds were on my own mind as I wondered about the dolphins and watched them pacing fluidly and freely in their ocean realm. When a poacher kills an elephant, he doesn’t just kill the elephant who dies. The family may lose the crucial memory of their elder matriarch, who knew where to travel during the very toughest years of drought to reach the food and water that would allow them to continue living. Thus one bullet may, years later, bring more deaths. Watching dolphins while thinking of elephants, what I realized is: when others recognize and depend on certain individuals, when a death makes the difference for individuals who survive, when relationships define us, we have traveled across a certain blurry boundary in the history of life on Earth—“it” has become “who.” “Who” animals know who they are; they know who their family and friends are. They know their enemies. They make strategic alliances and cope with chronic rivalries. They aspire to higher rank and wait for their chance to challenge the existing order. Their status affects their offspring’s prospects. Their life follows the arc of a career. Personal relationships define them. Sound familiar? Of course. “They” includes us. But a vivid, familiar life is not the domain of humans alone. We look at the world through our own eyes, naturally. But by looking from the inside out, we see an inside-out world. This book takes the perspective of the world outside us—a world in which humans are not the measure of all things, a human race among other races. To understand anything, really, one must go deep, to the roots. In our estrangement from nature we have severed our sense of the community of life and lost touch with the experience of other animals. So while I went in search of particular “who” animals, I delved into new findings about thought, emotion, and consciousness that apply to many animals. And because everything about life occurs along a sliding scale, understanding the human animal becomes easier in context, seeing our human thread woven into the living web among the strands of so many others. This project differs from other “animal thinking” books in one fundamental way. I’d intended to take a bit of a break from my usual writing about conservation issues, to circle back to my first love: simply seeing what animals do, and asking why they do it. I traveled to observe some of the most protected creatures in the world—elephants of Amboseli in Kenya, wolves of Yellowstone in the United States, and killer whales in the waters of the Pacific Northwest—yet in each place I found the animals feeling human pressures that directly affect what they do, where they go, how long they live, and how their families fare. So in this book we encounter the minds of other animals and we listen—to what they need us to hear. The story that tells itself is not just what’s at stake but who is at stake. The greatest realization is that all life is one. I was seven years old when my father and I fixed up a small shed in our Brooklyn yard and got some homing pigeons. Watching how they built nests in their cubbyholes, seeing them courting, arguing, caring for their babies, flying off and faithfully returning, how they needed food, water, a home, and one another, I realized that they lived in their apartments just as we lived in ours. Just like us, but in a different way. Over my lifetime, living with, studying, and working with many other animals in their world and ours has only broadened and deepened —and reaffirmed—my impression of our shared life. That’s the impression I’ll endeavor to share with you in the pages that follow. 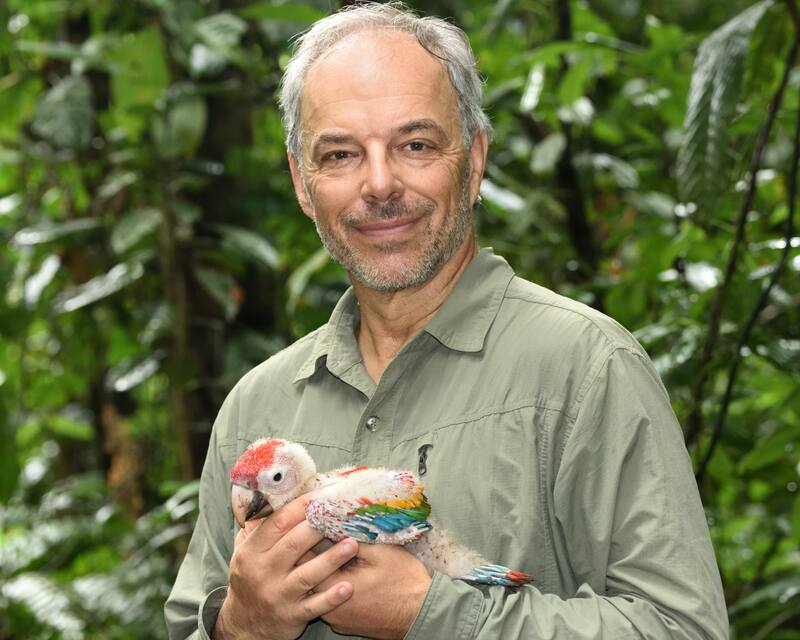 Carl Safina explores how humans are changing the living world. His work connects scientific understanding with a moral call to action. His writing has won a MacArthur “genius” prize; Pew and Guggenheim Fellowships; book awards from Lannan, Orion, and the National Academies; and the John Burroughs, James Beard, and George Rabb medals. He holds the Endowed Chair for Nature and Humanity at Stony Brook University and is founder of the not-for-profit Safina Center. Carl’s most recent book is Beyond Words; What Animals Think and Feel.